TORONTO Canada’s federal government and its provinces have agreed they need emissions-cutting measures beyond the minimum price on carbon unveiled last week, and the government will announce those measures in the fall, a senior minister said on Sunday. Speaking on the CTV broadcaster’s “Question Period” politics talk show, Environment Minister Catherine McKenna said the measures may include regulating energy efficiency in housing. Liberal Prime Minister Justin Trudeau took power last November promising to do more to protect the environment, and last Wednesday Parliament ratified the Paris agreement to curb climate-warming emissions. But Canada’s 10 provinces, which enjoy significant jurisdiction over the environment, have been wary of Ottawa’s intentions and have said they should be allowed to cut emissions their own way. An announcement by Trudeau last Monday of carbon pricing prompted one energy-producing province to threaten legal action and another to demand approval of an oil pipeline in return. In Montreal on the same day, McKenna met provincial counterparts to work on a carbon pricing deal, and three ministers left early in a sign of protest. 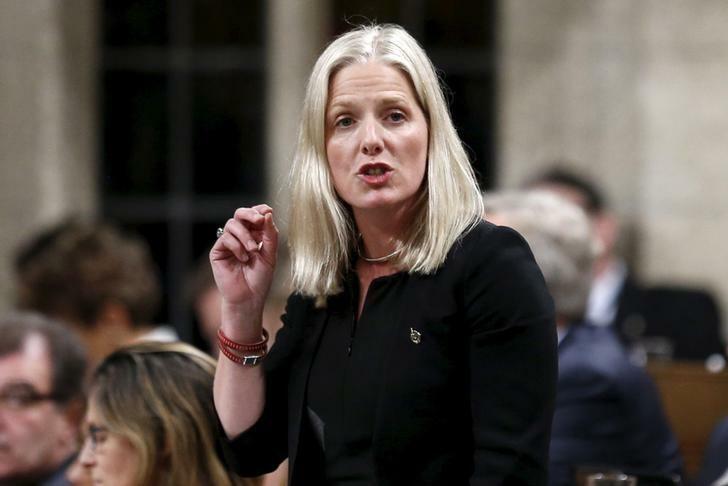 But there was consensus at the meeting with regard to measures beyond carbon pricing, McKenna said on Sunday. “There were these working groups that met, and in Montreal this past week … everyone agreed that we needed to take other measures,” she said. McKenna said the government is looking at how it can make sure houses are being built in energy efficient ways. The plans may include investing in social housing and retrofitting old buildings, she said. It is unclear if the measures will force regulatory changes on sometimes unwilling provinces, as will be the case with the carbon pricing. McKenna said the government will unveil “a range of measures,” but declined to elaborate further. She did not directly address questions on how the federal government will force unwilling provinces to comply with the new carbon pricing regime. McKenna’s ministry, Environment and Climate Change Canada, did not immediately respond to a request for comment. Ontario, Quebec, British Columbia and Alberta, Canada’s four most populous provinces, either already have a price on carbon or are implementing one. But data show Canada has little chance of meeting its climate change goals, in part because of booming emissions from the energy sector.